Shedding new light on the rich intellectual and political milieux shaping the divergent legacies of Joyce and Yeats, Empire's Wake traces how a distinct postcolonial modernism emerged within Irish literature in the late 1920s to contest and extend key aspects of modernist thought and aesthetic innovation at the very moment that the high modernist literary canon was consolidating its influence and prestige. 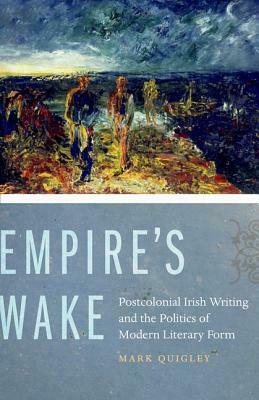 By framing its explorations of postcolonial narrative form against the backdrop of distinct historical moments from the Irish Free State to the Celtic Tiger era, the book charts the different phases of 20th-century postcoloniality in ways that clarify how the comparatively early emergence of the postcolonial in Ireland illuminates the formal shifts accompanying the transition from an age of empire to one of globalization. 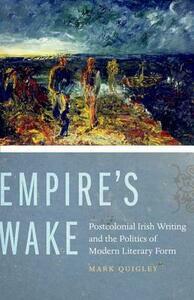 Bringing together new perspectives on Beckett and Joyce with analyses of the critically neglected works of Sean O'Faolain, Frank McCourt, and the Blasket autobiographers, Empire's Wake challenges the notion of a singular "global modernism" and argues for the importance of critically integrating the local and the international dimensions of modernist aesthetics.